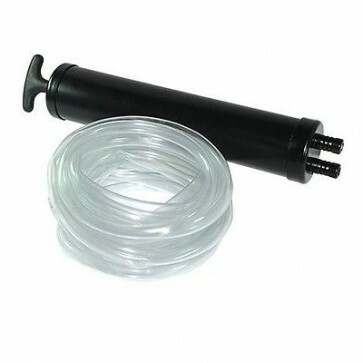 Brand New Double-Action Fluid Transfer Gun Steel body with rubber plunger. 500cc stroke capacity. Fluid is drawn on pull stroke and expelled on push stroke. Includes 2.4m hose that can be cut to fit.